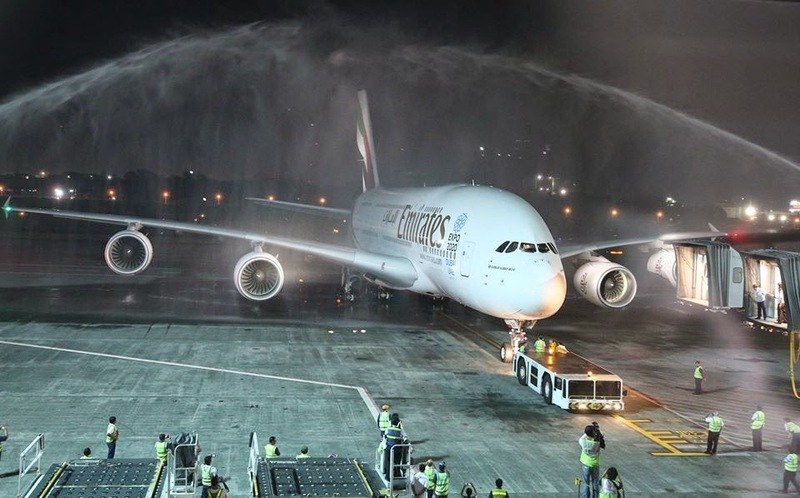 Aviation Updates Philippines - The Civil Aeronautics Board gave Emirates a P1.8 million penalty after it continued to sell tickets on its extra third daily flight between Dubai and Manila until next year. According to the agency, Emirates is only allowed to sell tickets on its third daily flight until December 26, 2014. According to a text message from Carmelo Arcilla, Executive Director of the Civil Aeronautics Board, the agency has fined Emirates P1.8 million, and has ordered the airline to desist from selling tickets for a third daily flight for schedules beyond December 26, 2014. Recently, Philippine Airlines and Cebu Pacific Air complained about Emirates having its 3rd daily flight being sold on its website. Both airlines said that Emirates violated Republic Act 776 as it continues to sell tickets on its 3rd daily flight until October 2015 without CAB’s permission. "The law prohibits an airline from selling flight services without authority to operate such flight, obviously for reasons of public policy that seeks to protect the public from the hazards arising from the uncertainty and unreliability of an unauthorized flight," Arcilla said. According to reports, Emirates was only given a 30-day extension until December 26, 2014 to operate its extra third daily flights between Dubai and Manila. Arcilla also said that the agency already order Emirates to cease operating its extra flights. "Emirates is ordered to desist from selling services for a third daily flight between Manila and Dubai, vice versa, beyond December 26, which is the expiration date of the second 30-day period it is allowed to operate a third daily flight," he said. However, Emirates said that it is not seeking more flights to Manila. The airline also wanted new air talks between the two countries which is set to be confirmed on December 19. Both carriers said that this will only benefit the gulf carrier, Emirates. “We hope that the CAB remains guided by their mandate of serving the interests of the Philippine aviation industry. We reiterate our appeal against holding a new round of bilateral air negotiations with the United Arab Emirates in the near future,” Philippine Airlines and Cebu Pacific said. "Air talks with the UAE is not a priority at this time, given the significant increase in capacity over the past year and it may only legitimize Emirates' third daily frequency, which renders useless the very CAB decision penalizing Emirates precisely for not respecting Philippine laws,” they added. According to the two carriers, the Civil Aeronautics Board's extension on Emirates extra flights is contrary to law, as stated in Section 3 of Executive No. 39 which the President signed in 2011. However, Emirates said that they "fully respect the CAB and abide by its rules and procedures."